Whether you are looking for temporary or Long term storage or a more permanent solution, Mobile Storage Services have a self storage units that are right for you. Mobile Self Storage is convenient, time efficient and delivered directly to your residence. You simply load it at your front door Lock it and we take care of moving it and storing it. 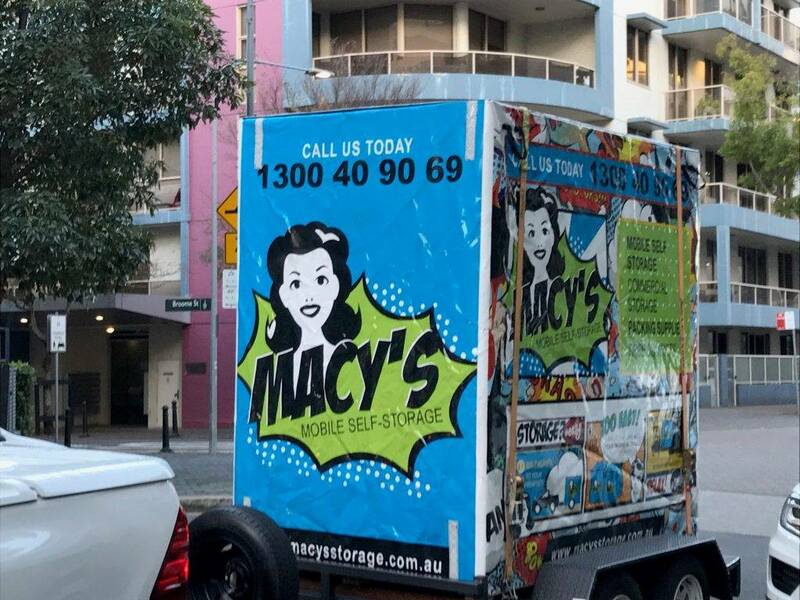 Macys may not be the biggest mobile self storage Ermington company, but we aim to be “the best mobile self storage in Ermington” when it comes to long term storage solutions. We take pride in the services we provide to our customers and always treat every customer as our only customer. Let Macys Mobile Storage deliver the simple, secure, affordable long term self storage service to solve all your storage needs. How easy is that? Our Mobile Self Storage solutions are perfect for all types of domestic, student, commercial and business storage needs. Rely on our expertise to guide you through a solution to your self storage, moving and packaging requirements. We deliver your self storage solution to your door. By delivering a storage unit your door. We remove the hassle, stress and wasted time in getting a van or truck. The additional loading unloading and stacking. You simply load the long term storage unit at your convenience at your place. We collect and take the secure storage unit to our storage facility and stack it away. We provide an efficient, convenient service with the reduced handling of your belongings. Mobile self storage solutions whereby you deal with one company for all your storage and packing needs and best of all, you never have to leave your front gate. Our modules are totally secure storage units with twin locking points. You load it you lock on your property and keep the keys. We forklift the full module off at our facility – your belongings inside are never touched again until we return the module to you. You can also keep our modules on your property and store onsite to create additional space where required. Macys provide long term storage and mobile self storage Ermington services for homeowners, businesses and students. This entry was posted in Commercial, Storage and tagged long term self storage, mobile self storage, mobile self storage sydney, mobile self storage units, self storage mobile.